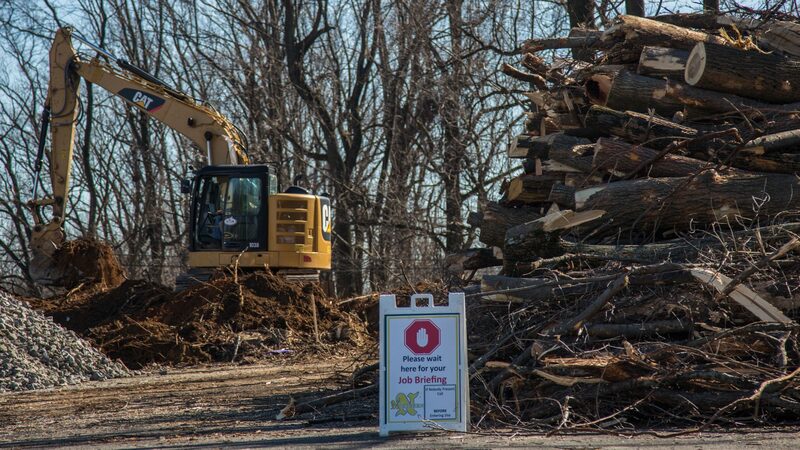 Tree-clearing in Delaware County to prepare for the construction of the Mariner East 2 pipeline project. 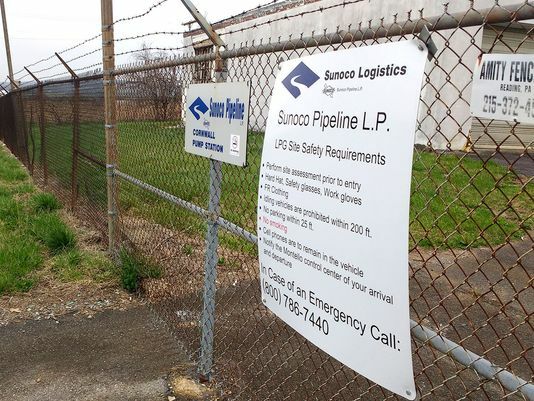 The builder, Sunoco Logistics, rejected an attempt by a township in neighboring Chester County to block the installation of a valve along the line. Energy Transfer says the probe into construction of the Mariner East pipelines "has no legitimate basis"
One of the pump stations owned by Sunoco Logistics off of Route 322 near Butler Road in West Cornwall Township. Delaware County’s district attorney and the Pennsylvania attorney general have launched a joint criminal investigation into the pipeline company Energy Transfer LP and Sunoco Logistics Partners, responding to increased opposition to the Mariner East pipeline project in the Philadelphia suburbs. A spokesperson for Attorney General Josh Shapiro said Delaware County DA Katayoun Copeland requested assistance with the probe, which involves alleged criminal misconduct in building the Mariner East 1, 2, and 2x pipelines through the county. The lines carry, or will carry, natural gas liquids from the Marcellus and Utica shale fields of eastern Ohio and western Pennsylvania to an export facility in Marcus Hook, Delaware County. In a statement, Copeland said the pipeline “poses certain concerns and risks” to residents. Copeland’s announcement follows a similar probe by the Chester County District Attorney’s office, which has impaneled a grand jury. Residents says the natural gas liquids lines, which transport propane, butane and ethane, pose a risk of explosion in a densely populated region. Sunoco’s pipeline construction has resulted in dozens of drilling mud spills across the state, contaminated drinking water wells, and dangerous sinkholes in Chester County. Last September, a separate Energy Transfer natural gas liquids pipeline exploded in Beaver County just days after coming online. The fire burned one house to the ground. The Department of Environmental Protection has issued more than 80 violations, halted construction at times along the route, and fined the company $12.6 million. The company has also faced shutdowns of the Mariner East 1 line after construction of the parallel Mariner East 2 line led to sinkholes in Chester County. On Monday, a bipartisan group of almost all state lawmakers from Delaware and Chester counties sent a letter to Gov. Tom Wolf seeking a moratorium on shipping any natural gas liquids through the Mariner East pipelines. Wolf’s spokesman J.J. Abbott said the governor’s office is reviewing the letter, but he said the governor doesn’t have the authority to halt transmission of natural gas through pipelines. That authority lies with the Public Utility Commission. “The governor has already directed the Pennsylvania Emergency Management Agency to work closely with county and local leadership to develop emergency response plans, and has taken other significant steps to hold Energy Transfer and its affiliates responsible,” Abbott said. During a quarterly earnings call with investors in February, Energy Transfer CEO Kelcy Warren said the company had made mistakes, but promised not to make any in the future. The Texas company Energy Transfer merged with Sunoco in 2017. Dillinger said the company hopes to speak to the Delaware County DA to resolve the case. Kurt Knaus, spokesman for the Pennsylvania Energy Infrastructure Alliance, a coalition of industry and labor unions, criticized the multiple investigations as purely political moves on the part of Copeland and Chester County DA Tom Hogan. “The two investigations come as Copeland and Hogan, both Republicans, face re-election this year in southeastern Pennsylvania counties where voters have started to lean left and recently sent several legislative incumbents packing in the 2018 general election,” Knaus said in a statement. He defended the safety of Mariner East construction. Pipeline opponents praised the DA for launching the new investigation.